Pack of 4 Satin Nickel Mig Stops for venting sash windows. 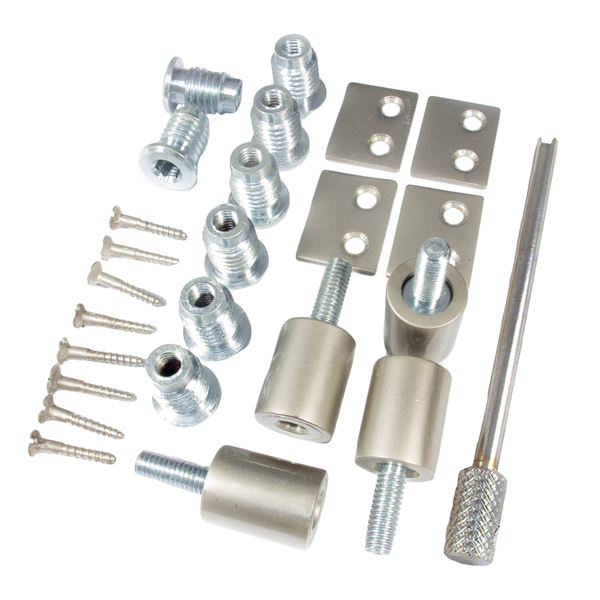 Includes Strike Plates, Key and Screws. The Mig Stop was developed for home security & ventilation. It allows the sash to be left opened a few inches without compromising security or safety. Easy to fit. One Pack is sufficient for two sash windows. The Mig Stop barrel is 20mm long & 16mm in Diameter. 10mm Dia x 18mm Deep Hole required for fitting. You will require a 6mm Allen key to fit this product.